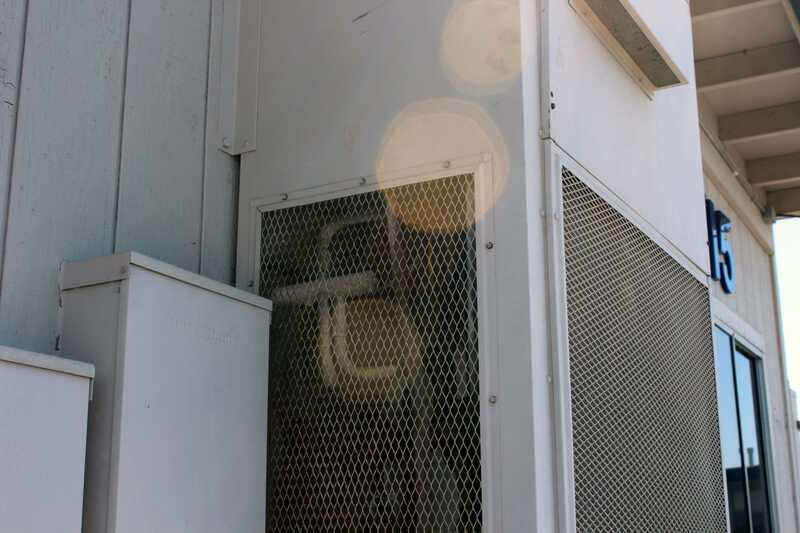 Air conditioning units run throughout the T buildings, keeping classrooms around 70 degrees. Other classrooms without air conditioning reach indoor temperatures of over 90 degrees during the heat spells of September and early October. Parts of Camarillo registered 108 degrees Fahrenheit today, and the heat is expected to continue until early next week, negatively impacting both student and teacher performance. “The fact that the majority of classes don’t have A/C makes it hard to concentrate,” said senior Zach Duquette. Seniors Jordyn White, Aaron Talabucon, and Michael Ma also agreed with this sentiment. “It’s harder to focus and kind of demotivating,” said White. “The heat personally makes me very tired. It’s unnecessarily challenging to stay awake,” said Ma. “I don’t think it’s right to ask students to perform at their best when they are not given conditions to perform at their best,” she said. The Oxnard Union High School District plans to replace all school windows with insulated, UV protected, tinted windows in order to help combat the heat. However, plans for installation of a school-wide AC system remain unforeseen. “I think [the OUHSD] just need to move forward with the air conditioning,” said Dr. Kim Stephenson, principal.